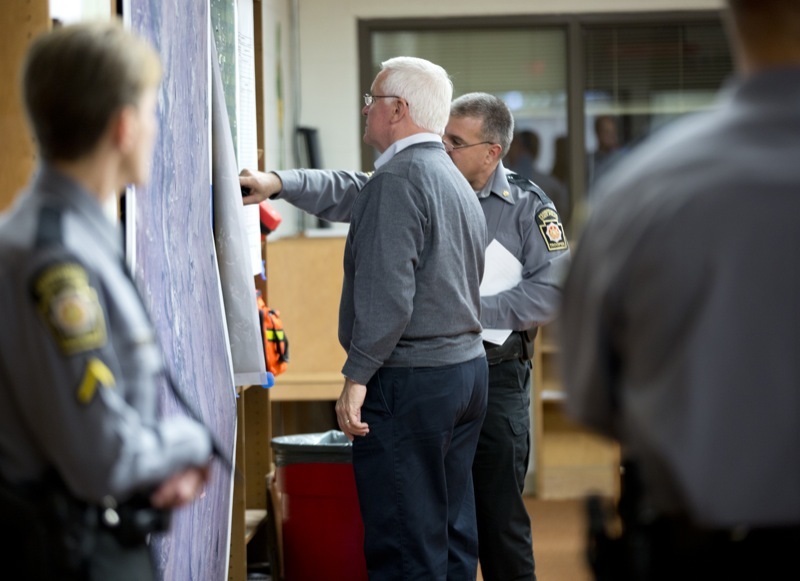 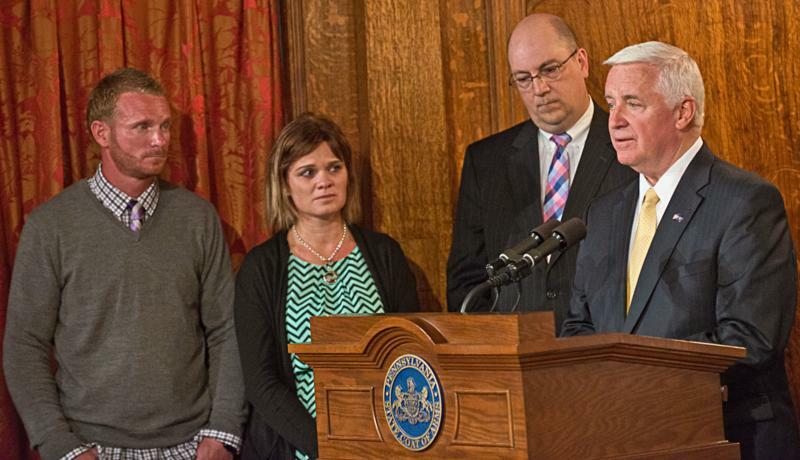 PennDOT announced today that a new partnership will help keep teen drivers safe and save the commonwealth nearly $70,000 in annual printing costs. 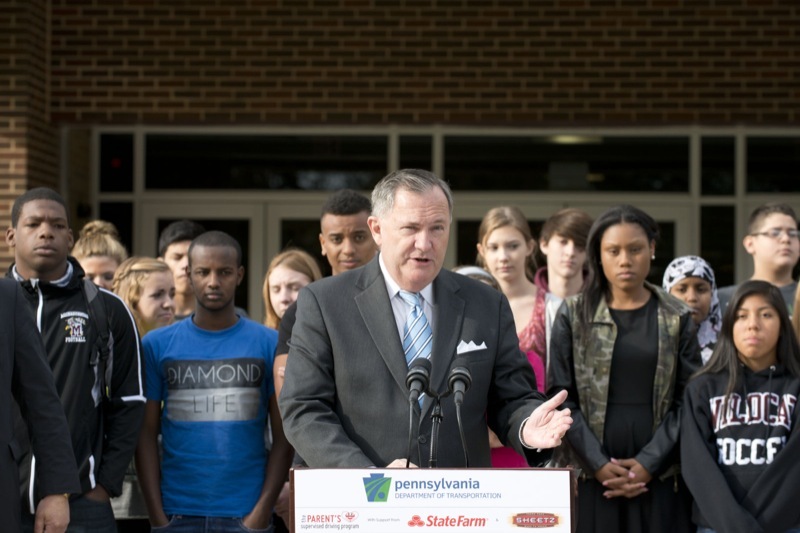 "The Parent's Supervised Driving Program," developed by the Safe Roads Alliance and sponsored by State Farm Insurance and Sheetz, provides parents with a printed handbook designed as a simple, easy-to-follow guide to help their teens become safe and responsible drivers. 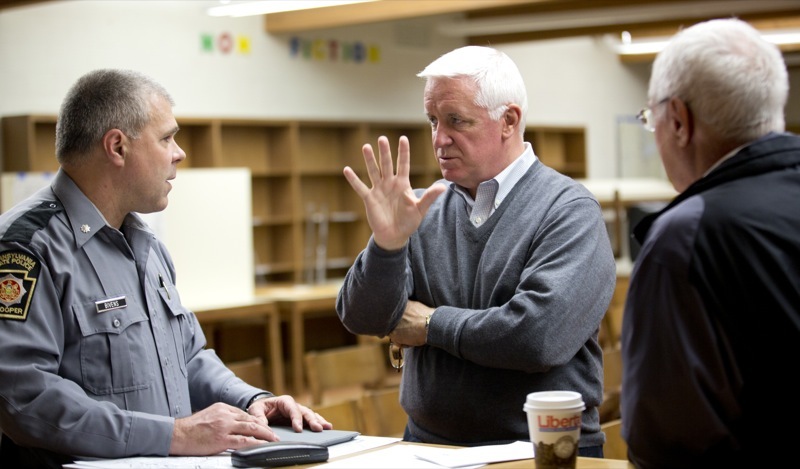 The alliance is a non-profit organization dedicated to improving highway safety by improving driver education with particular emphasis on behind-the-wheel training. 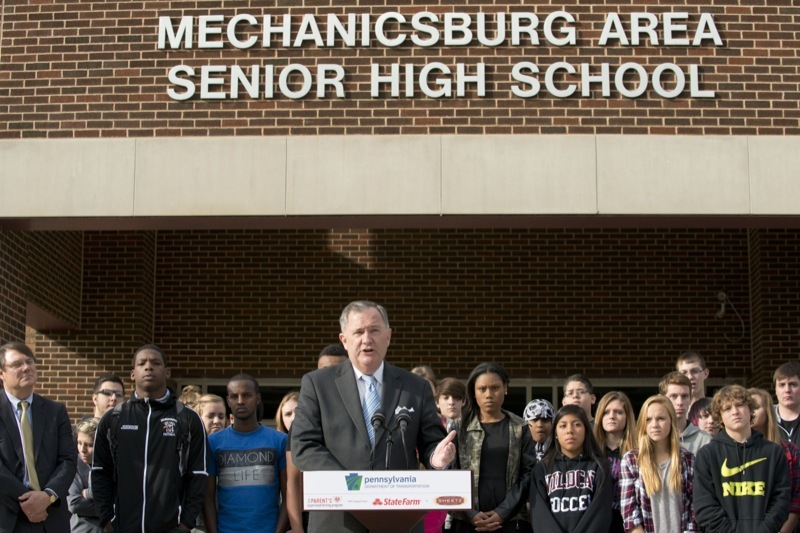 Harrisburg - PennDOT announced today that a new partnership will help keep teen drivers safe and save the commonwealth nearly $70,000 in annual printing costs. 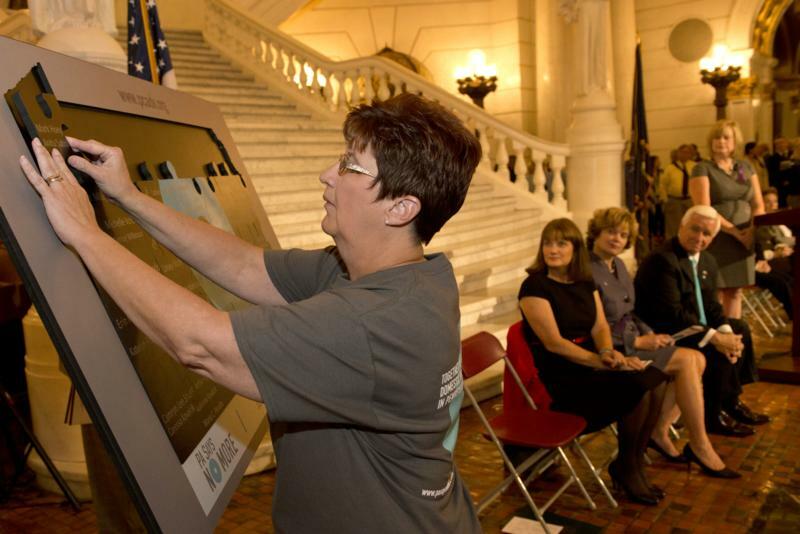 The Pennsylvania Lottery took part in a celebration held in New York City today marking the launch of the multi-state MONOPOLY MILLIONAIRES' CLUB Lottery game, one day after ticket sales began. 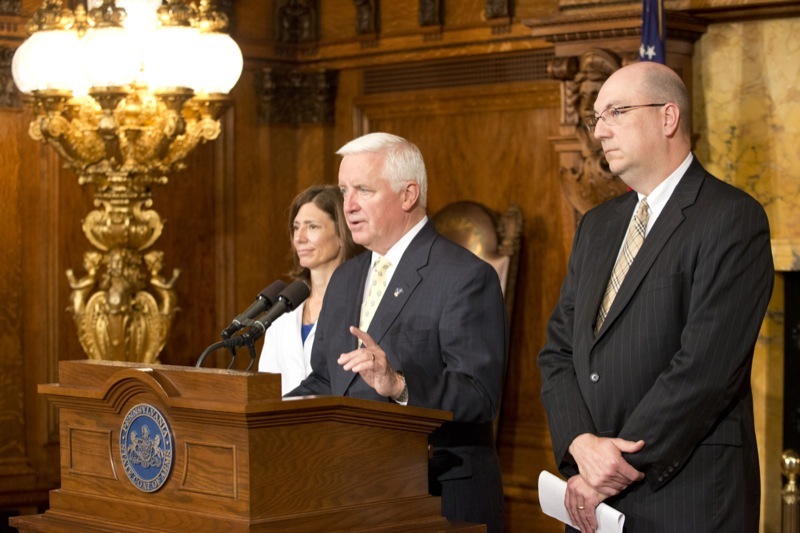 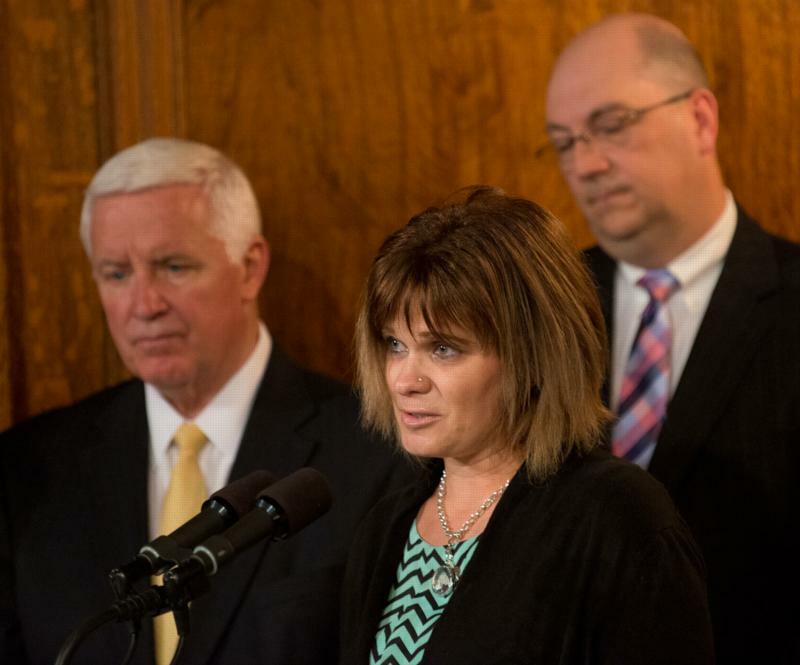 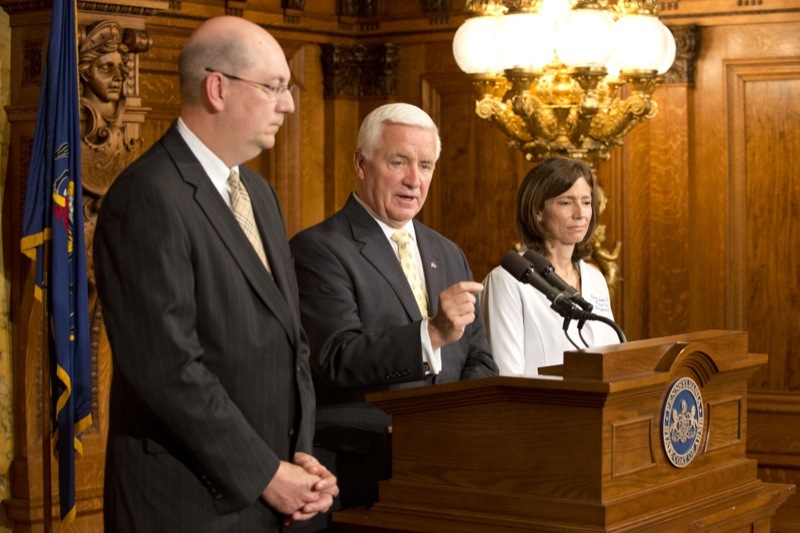 Governor Tom Corbett joined Secretary of Health Michael Wolf and Physician General Dr. Carrie DeLone today to announce that - while there are no confirmed cases in Pennsylvania - the commonwealth is well prepared for the Ebola virus and is committed to protecting the health and public safety of all Pennsylvanians. 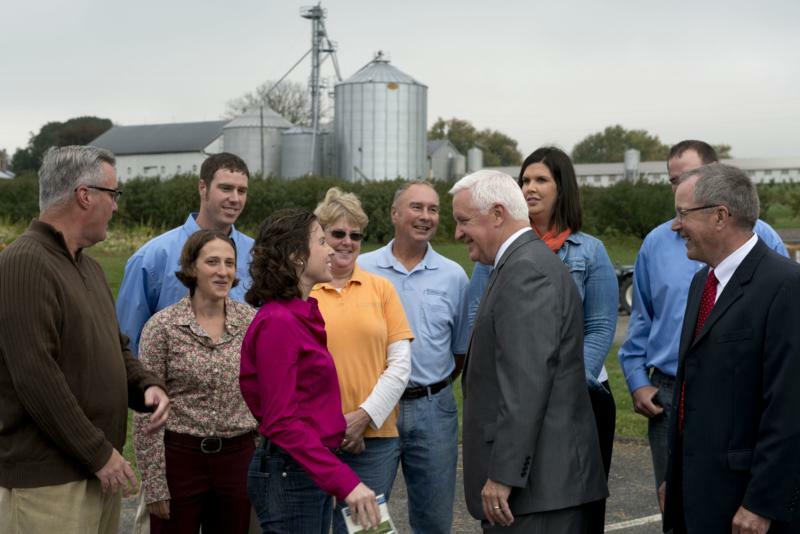 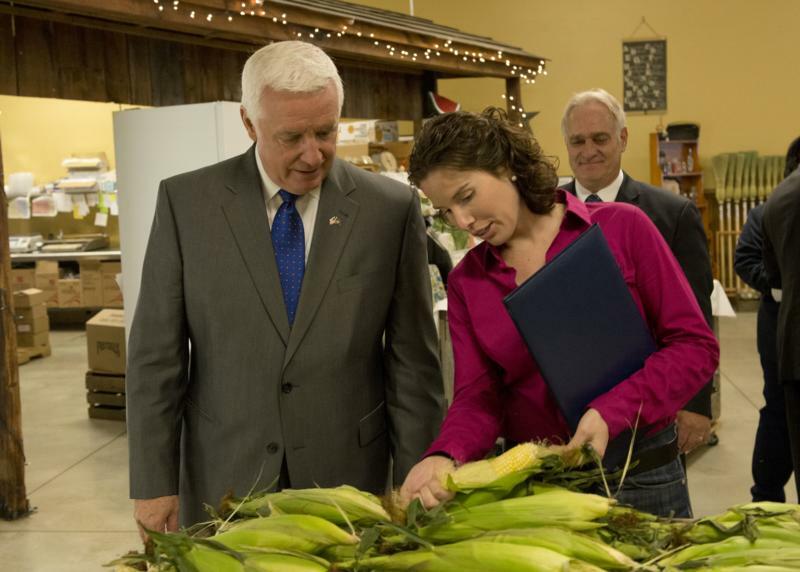 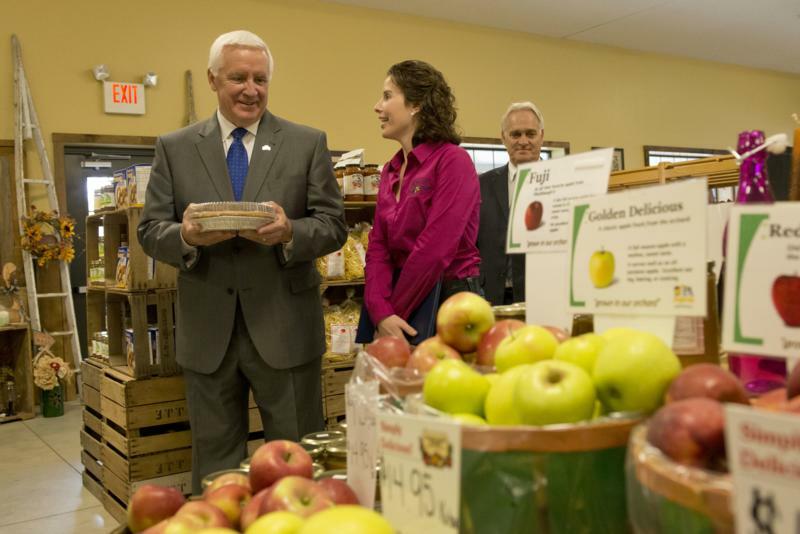 In the biggest milestone yet for the nation's most successful farmland preservation effort, Pennsylvania Governor Tom Corbett and Agriculture Secretary George Greig today commemorated the preservation of more than a half-million acres of prime Pennsylvania farmland for future development. 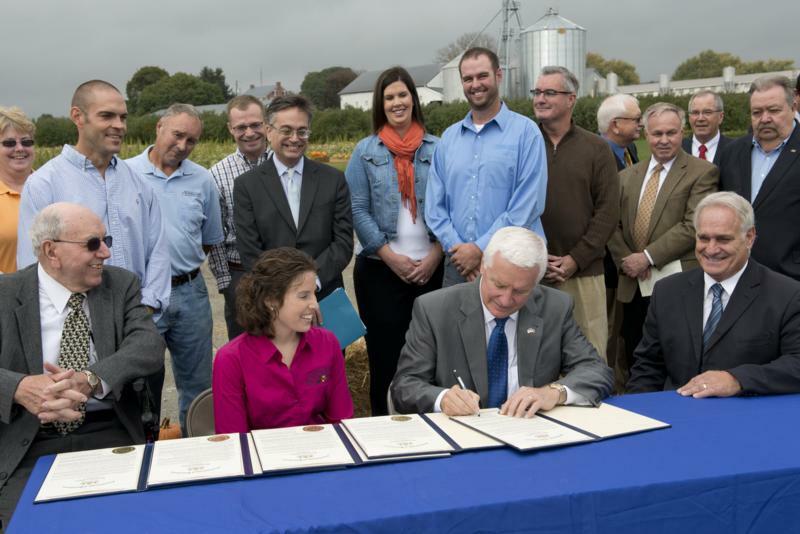 Hallam - In the biggest milestone yet for the nation's most successful farmland preservation effort, Pennsylvania Governor Tom Corbett and Agriculture Secretary George Greig today commemorated the preservation of more than a half-million acres of prime Pennsylvania farmland for future development. 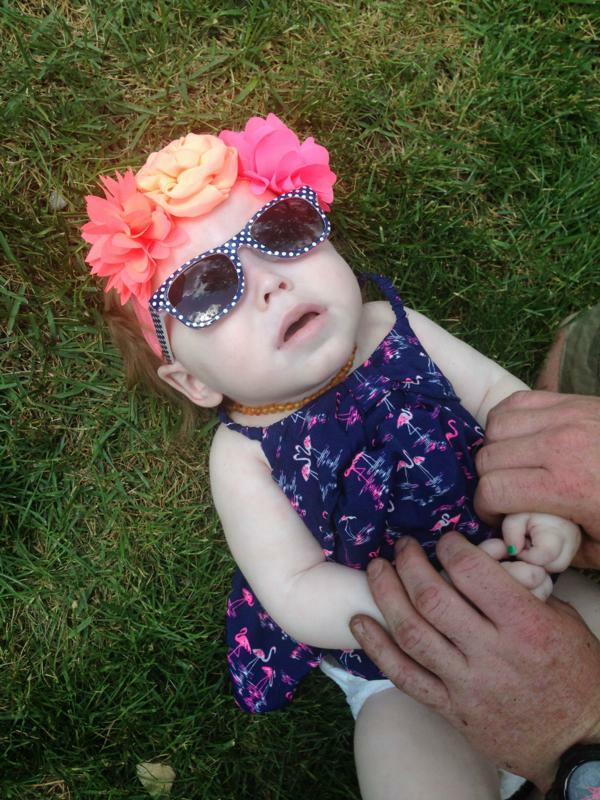 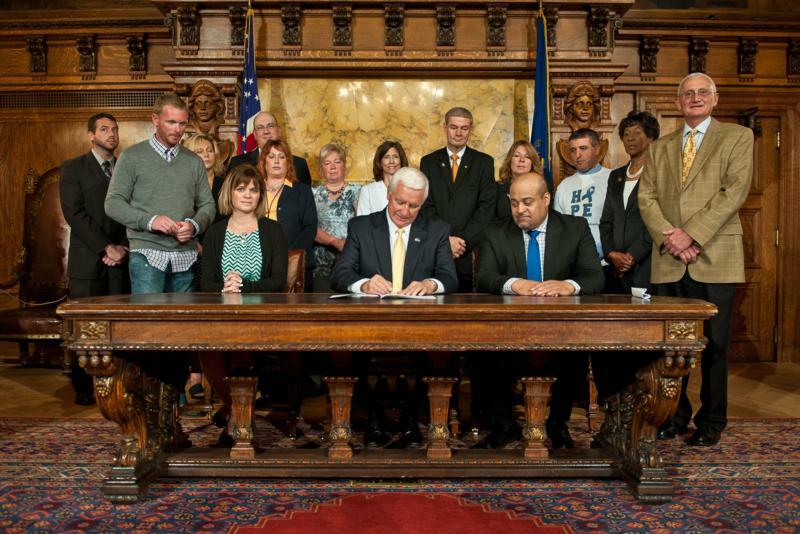 Harrisburg - Governor Tom Corbett signed House Bill 1654 into law at an event in the Capitol today, expanding newborn screening requirements to assist in early detection measures that will help to improve care for children diagnosed with certain rare disorders. 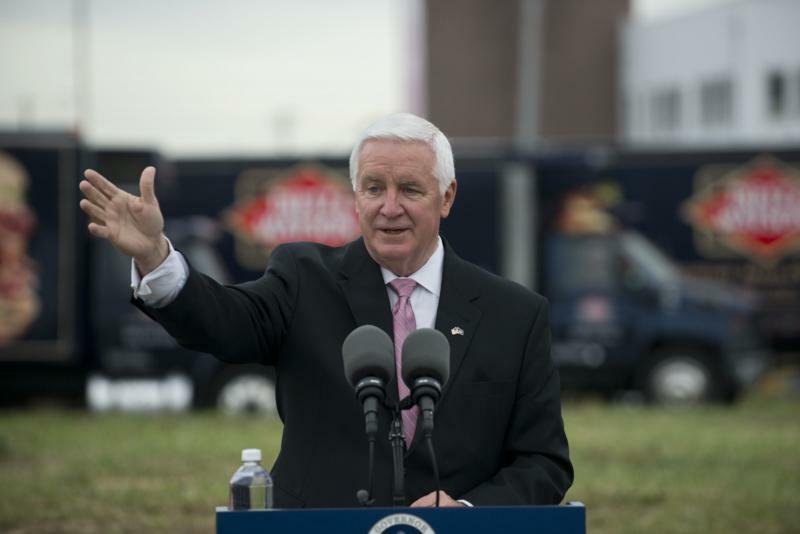 Pennsylvania selected as one of two locations throughout the United States for state-of-the-art fulfillment center. 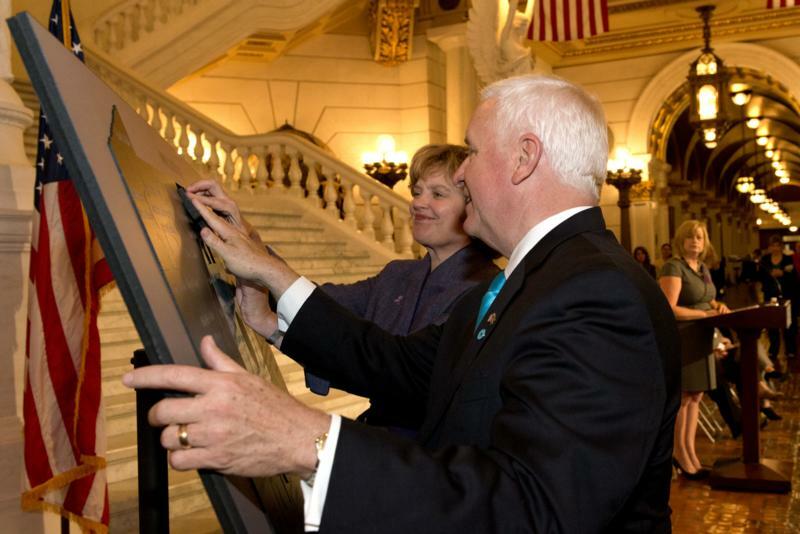 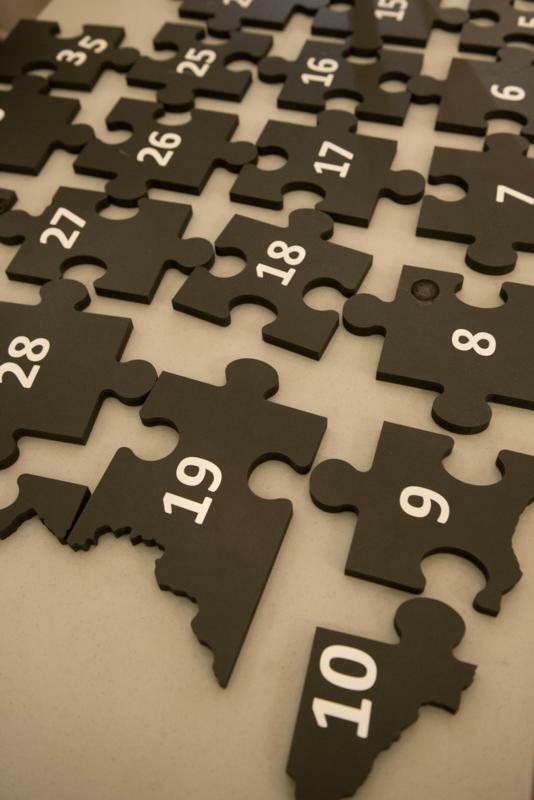 Pennsylvania Governor Tom Corbett and First Lady Susan Corbett joined The Pennsylvania Coalition Against Domestic Violence and its 60 member programs along with other elected officials to remember the more than 100 Pennsylvanians who died in domestic violence-related homicides during the past year. 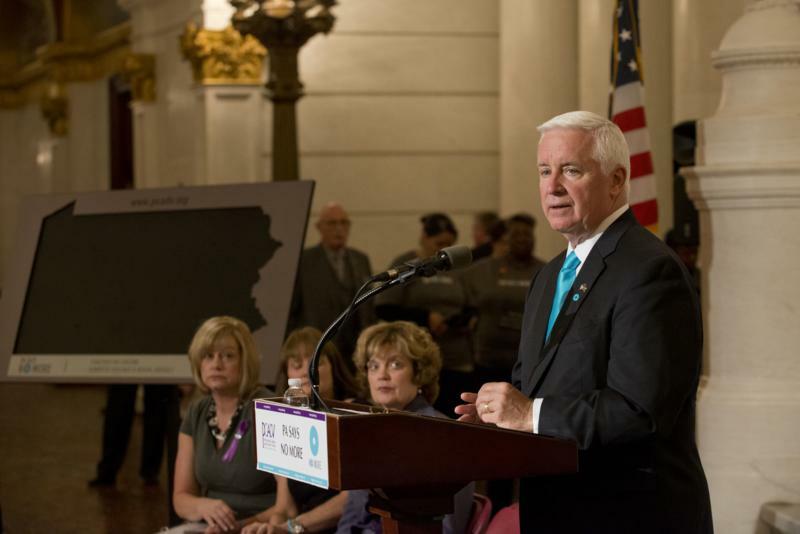 Pennsylvania Governor Tom Corbett and First Lady Susan Corbett joined The Pennsylvania Coalition Against Domestic Violence and its 60 member programs along with other elected officials to remember the more than 100 Pennsylvanians who died in domestic violence- related homicides during the past year. 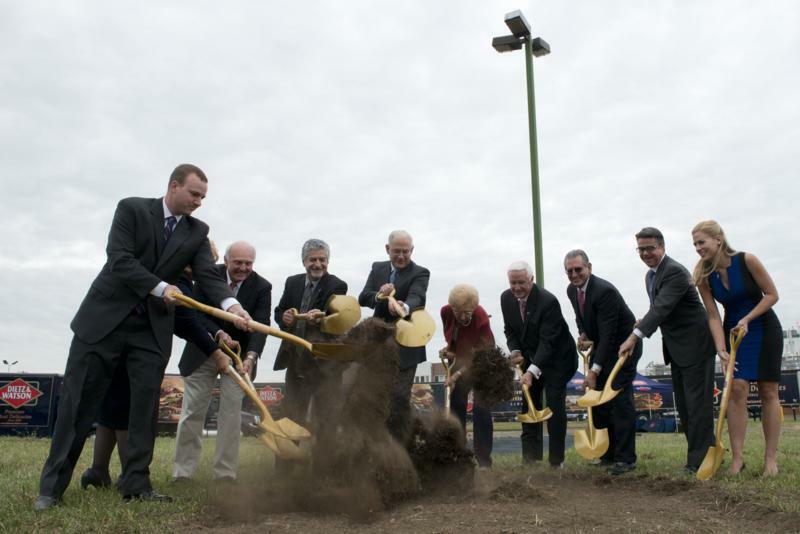 Governor Corbett Joins Dietz and Watson and Local Officials to Break Ground on $50 Million Expansion Project. 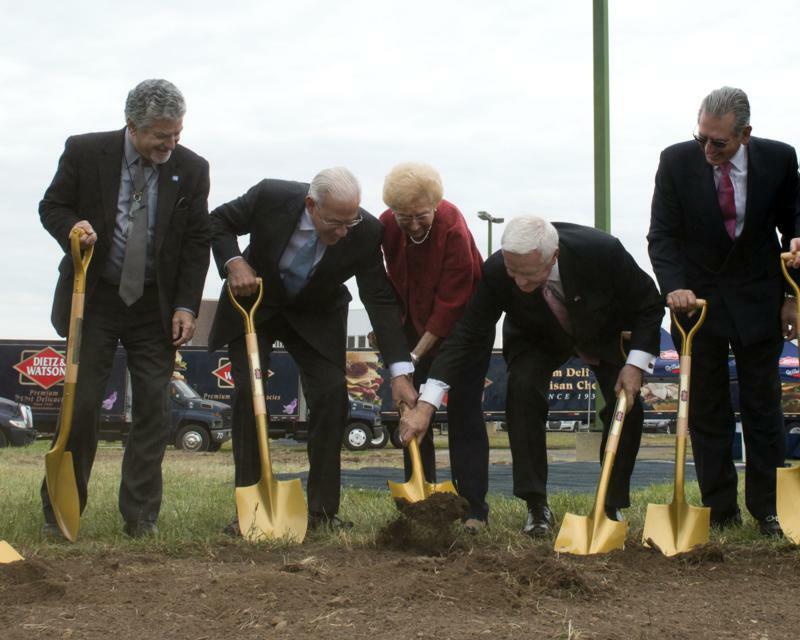 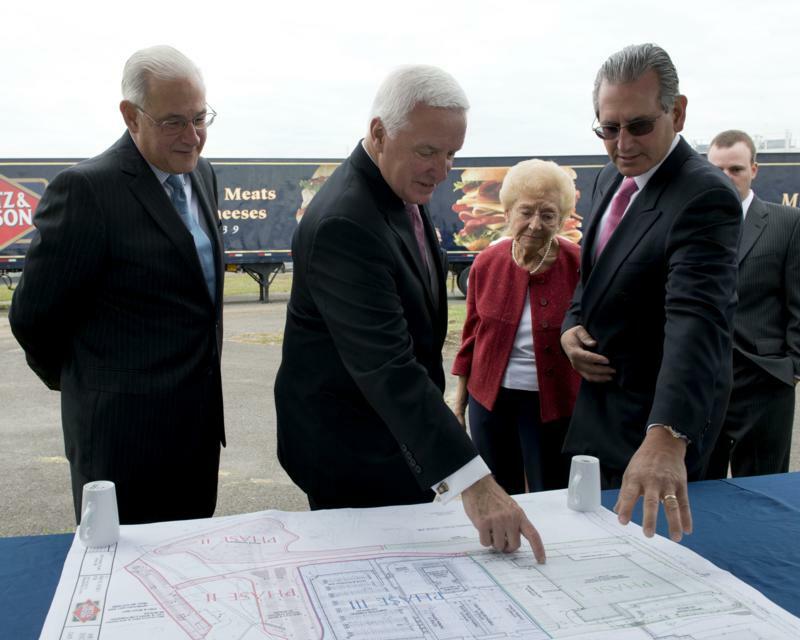 Governor Tom Corbett today joined Dietz and Watson President and CEO Louis Eni, Philadelphia Deputy Mayor for Economic Development Alan Greenberger, City Councilman Bobby Henon and other local officials to break ground for the Philadelphia-based, fourth generation family-owned food manufacturer's expansion that will nearly double its footprint in the Tacony section of Philadelphia. 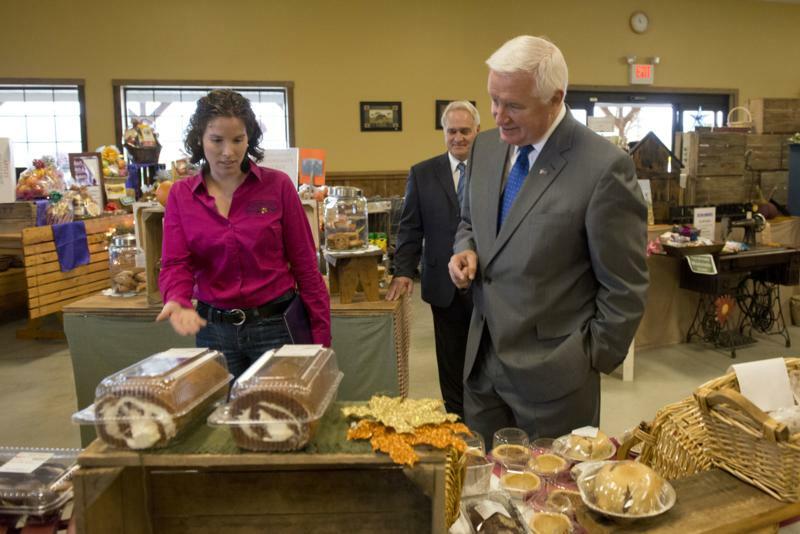 The expansion is projected to add 158 new jobs and retain 691 jobs. 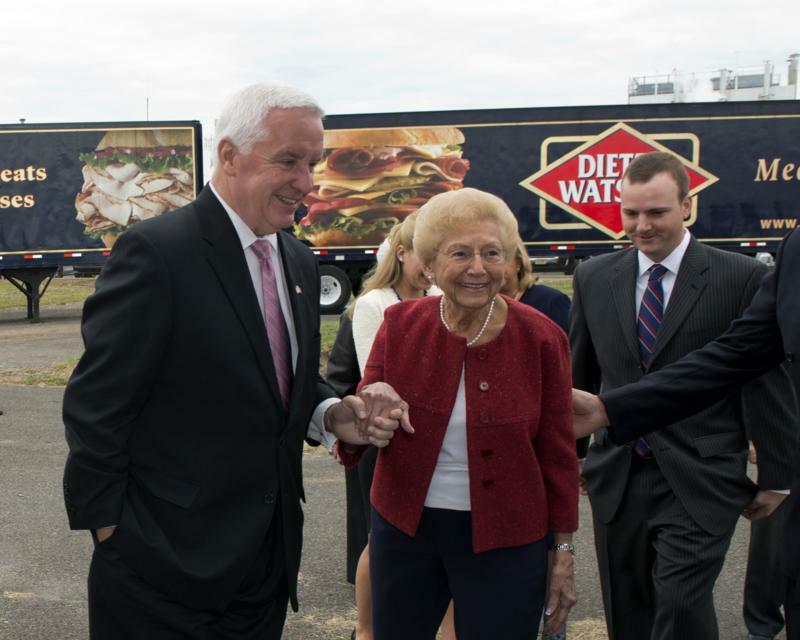 Governor Tom Corbett today joined Dietz and Watson President and CEO Louis Eni, Philadelphia Deputy Mayor for Economic Development Alan Greenberger, City Councilman Bobby Henon and other local officials to break ground for the Philadelphia-based, fourth generation family-owned food manufacturer's expansion that will nearly double its footprint in the Tacony section of Philadelphia.